Wow! 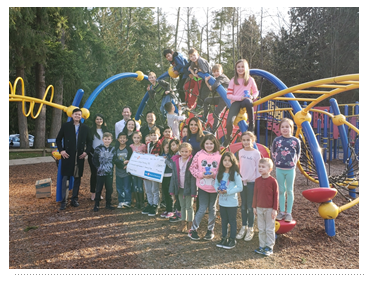 The Panorama Bank of Montreal and Cambridge Elementary Parents had a great partnership! The school is building their new playground with the help of the very special community program at the new BMO! Each child that opened an account received $25 and the bank also donated $25 to the school for their new playground! The community opened a total of 135 accounts and met the goal of 100 accounts.. so the bank was able to double their donation amount. The total raised from this initiative was $5875 – that would have been a lot of chocolate bars to sell!